I was born and raised in the city of Los Angeles, and so long as I can remember my fascination for boxing began just like it did for other kids born in the 80’s, Rocky movies! There was something magical and inspiring about overcoming an opponent during the brink of defeat and then coming back to win in spectacular fashion. It resonated for a lot of people, not just in an athletic context, but also for life as well. Everyone loves an underdog and/or a comeback story. I didn’t step into my first boxing gym until I was 19. 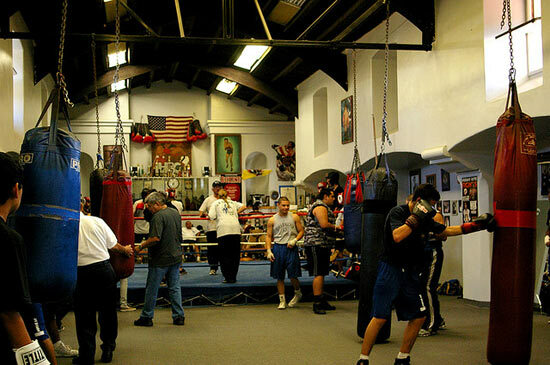 In June 2004, a friend brought me to a gym called the La Habra Boxing Club which was located in a less-than-perfect neighborhood. It was known as Wayne “The Pocket Rocket” Mccollough’s gym (former world bantamweight champion) and home of Julio Gonzalez (former light heavyweight champion that lost to Roy Jones Jr). Jerry, my first boxing trainer! Boxing was everything I ever dreamed of and more. 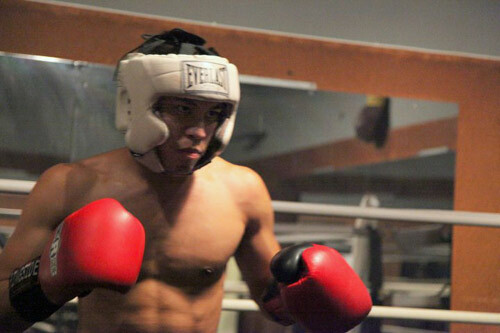 I had my own trainer, gloves, mouthpiece, and favorite heavy bag to pound on. There was no greater feeling than to get torn up in a round, have your trainer curse you out in the corner, and then go out and win the final round on pure determination. This was so much better than watching a Rocky movie, I was living it every day. For the next 6 months, I trained 5 days a week alongside some of the best boxers in the world. 90% of the gym were competing fighters, amateurs and professionals from the US and Mexico. The only belts that mattered were title belts. I had the toughest training and never paid a dime for it. The fee for training was hard work (and a couple pints of blood here and there). It was a Mexican gym and everything that was Mexican boxing culture could be found here: Mariachi music in the background, brawling punches in the ring, trademark Mexican body shots, and of course, non-stop Spanish. Fighters from all over the world came by for world class sparring. Kids not even tall enough to ride roller coasters bobbed and weaved like miniature Mike Tyson’s. Fighters brought their entire families to the gym, training harder when more people were watching. Even gangsters from the local neighborhood joined the party to test their street skills. Anybody that wanted to fight was given gloves, headgear, and even a “community mouthpiece”(gross, I know, but I’ve used it too when I forgot mine at home). 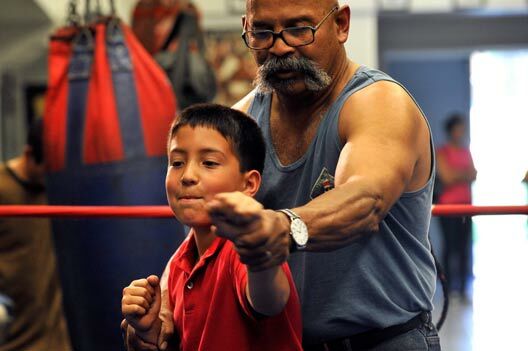 Local newspapers and media sites praised LA Habra’s sparring sessions as the best “free boxing shows” you could find anywhere in Southern California. La Habra was the kind of fighting gym that intimidated grown men. My friend Dave quit boxing when he saw a 3 year old hitting the speed bag from the top of an upside down garbage can. Fighters feared their trainers more than their opponents. Fathers berated their sons for losing sparring matches. On any given day, you might be adjusted by 3 different trainers on your technique, spar guys you’ve never met before, and still work a full session on mitts and bags. My brother’s nose bled every single day of training. I understood this to be the life of a pugilist. 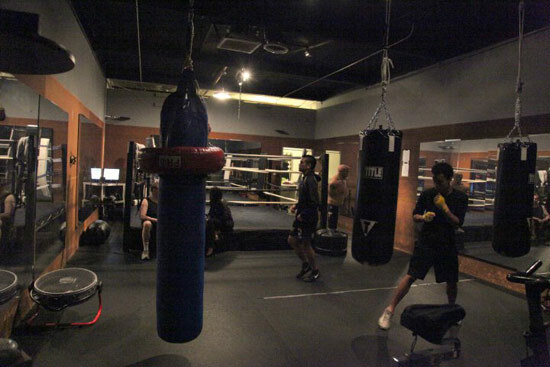 Our gym featured nearly an unlimited number of trainers and sparring partners, something I took for granted. There were days when I came in tired and not wanting to step in the ring, but Jerry always had a way of convincing us to spar. My brother was once knocked out by a girl (who terrorized her division in the amateurs). As he washed the blood off his face, two other boys embraced him in group therapy, retelling their stories of how they too were embarrassingly knocked out by Bianca the “Boy Killer”. I too, was stopped twice by my friend Mike. I ran out of gas and ate so many punches Jerry stepped in to save me. With everyone congratulating my courage, you might have thought I won the match. Everybody loved the way I fought and I would do it all over again for them if I could. Since La Habra, I’ve trained at a handful of other gyms to learn new techniques and volunteering for sparring sessions if everyone seemed friendly enough. 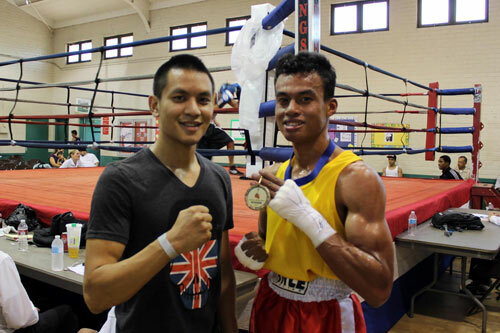 I spent a few weeks at a gym in Canada where I saw some international-level amateurs. And then there was also the time I spent at Wildcard Boxing Gym where I saw Manny Pacquiao and dozens of other pro-boxers working out. after training with Mr. “Cool” Vince Phillips – former 140lb champ! I might have sparred a hundred amateur fighters but I never went amateur boxing myself. I had plenty of competition at my gym. Many of the Mexican trainers groomed their kids to go straight into the pros. They didn’t believe in fighting for free. Amateur boxing was merely free practice for the pros or a chance at fame in the Olympics. I ended up not going towards either route. 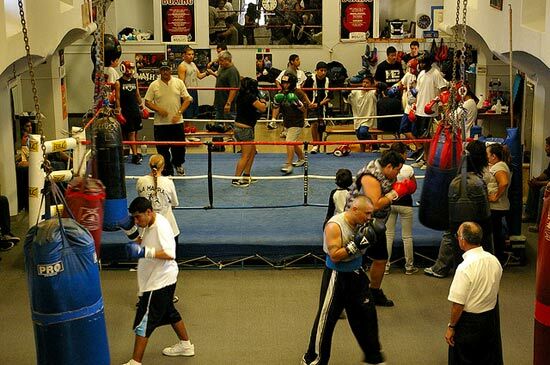 I stopped training at the La Habra boxing club to focus on my other priorities in life. Being a busy college student made it hard to drive 90 minutes through traffic every day just to get a free facial reconstruction. Other than accepting backyard challenges and hitting the bags, I was no longer officially boxing. Boxing fell further down my list of priorities when I started my own IT company. 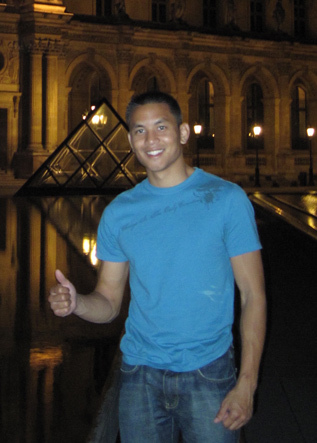 In 2007, I tried out for the university boxing team at my college, California State University, Northridge (CSUN) and made the team but decided to focus on my academics instead. In 2009, I came back from a 3-month trip in Europe and took a last minute smoker fight on less than 2 weeks notice. 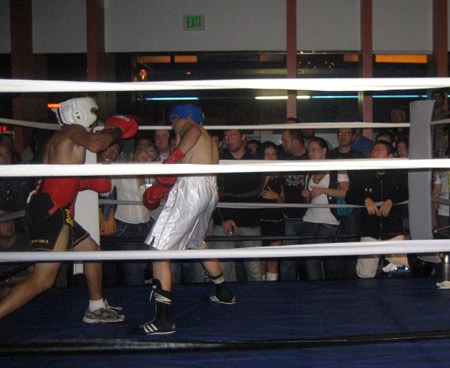 It was a “Friday Night Fights” event where I fought an amateur from Wildcard Boxing Gym who outweighed me by 15 pounds. I lost a close decision but enjoyed the experience. The guy I fought would later go on to win the Golden Gloves. 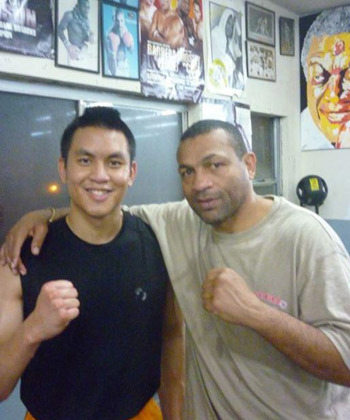 I stayed connected to the sport, watching every notable fight and teaching dozens of friends and inspiring pugilists how to box. In fear of forgetting the great knowledge my trainers had passed down to me, I started ExpertBoxing.com in 2008. I posted boxing tips on my website with the sole purpose of making sure they would never be forgotten. I never expected ExpertBoxing to become anything. I wanted it be my own hard-earned archive of knowledge, no matter how little it was. I came home from a Europe tour in 2009 to an inbox full of questions and compliments from readers around the world. 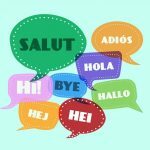 It was flattering to hear compliments on my site but how the heck was I going to answer their questions and write more articles when I didn’t even train anymore? The answer came in 2009 when I met Steve, an old boxer/trainer from Boston. 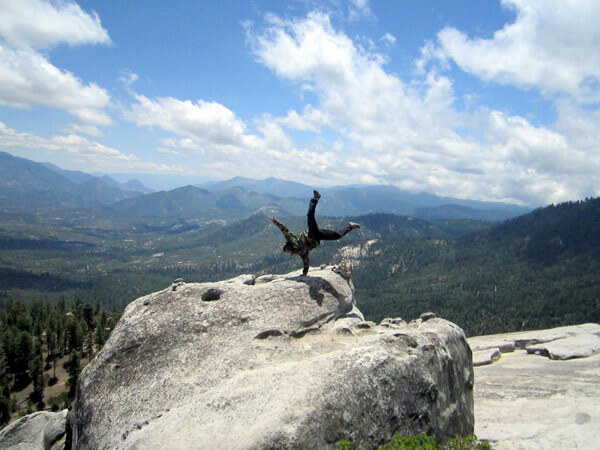 Steve ran a private gym in Los Angeles that had no name and charged no fee. Steve’s underground gym was already popular with the local pro’s and amateurs as an alternative to overcrowded combat facilities. Some fighters came here for sparring because they got tired of waiting for the ring at their gym. The other visitors were older men and off-season fighters who came to stay in shape. Trainers brought their beginners and injured athletes because they liked the relaxed atmosphere. Kickboxers and MMA fighters came by to work on their boxing. Being a part-time boxer, I fit in naturally. Steve took a liking to my “technical-but-light” sparring attitude and gave me keys to the gym. This new underground gym, a gym made up of athletes from all over Los Angeles, became my second home. I started to appreciate boxing as an art and not just a sport. I asked sparring partners to tone down the pace, so I could learn the real intricacies and nuances of boxing. I showed the same courtesy by going easy on all the beginners, earning the respect of their trainers. I found that trainers were more likely to give you pointers when they know you won’t use it to destroy their fighter. Being respectful opened the way for me to learn from so many trainers and athletes. I STILL train here every week, sharing my passion for boxing with others as I learn from fighters more experienced than myself. I like to compare myself to James Toney in that all I do is show up, fight, and go home. I’ll spar as many people as I can, discuss a few pointers along the way, and then run home to break down movements and details while sharing my techniques online. Ironically, not having to fight for medals and prize money made me a better fighter. I was free to work on any technique I wanted, not just “winning techniques”. I picked up new boxing styles and got away with mistakes normal trainers would never allow. Most important of all, I enjoyed boxing more than ever because I had no pressure to perform to anybody’s standards. I don’t really care for training or competing. I don’t want to spend hundreds of hours training for just a 9-minute fight. I’m not here to become the push-up champion of the world. I just love fighting and the art of boxing itself. To all the trainers that have ever worked with me: Jerry, David, Jorge, Rick, Steve, Erick, Bob, Jose, Vince…there’s too many to list. THANK YOU ALL! I work with a lot of beginners every week sharing what I know and picking up what I can from other trainers. Right now, I’m coaching several amateur fighters which feels like a part-time job in itself. It’s a big responsibility having to come up with specialized workouts and drills for each fighter. You have to watch them carefully to see what advantages you can pick out and what bad habits might potentially cost them down the line. Many fighters also like to think too much so I have to be there to calm their thoughts or talk to them and keep them from over-analyzing things. What makes it all worthwhile is seeing the joy on their faces after the end of the fight. Every victory feels like a championship when you put in the work. When I’m not in the boxing gym, I’m a huge nerd spending hours on the computer watching youtube videos and randomly surfing the web. I enjoy the outdoors, hiking and going on road trips. I love traveling the world, visiting new places and finding new ways to live life to the fullest. Skateboarding, like boxing, is 100% mental, 100% physical.